Born in Paisley, Derek has been a Buddie since his birth in 1951. In 1974 Derek began a career as a maths teacher. In the early 1980’s, during the keg revolution, Renfrewshire had only two real ale outlets. Due to the lack of decent ale in the local pubs, Derek decided to turn his hand to home brewing. As a science graduate Derek had a basic knowledge of the brewing process. Experiments at home and voluntary work at the now defunct Strathalbyn Brewery helped Derek develop his brewing skills. In 1996/7 Derek was involved in founding Houston Brewery and became head brewer for four years. 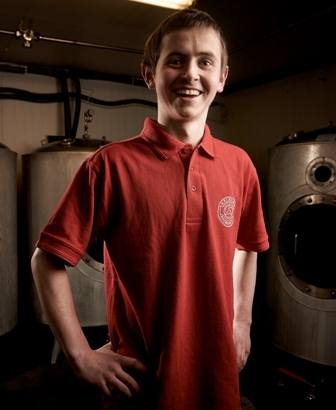 In October 2001 Derek realised his dream when he formed Kelburn Brewing Company where brewing commenced in April 2002. As the business has grown, Derek has become less involved in the day to day brewing regime and nowadays concentrates his efforts in promoting the Brewery. Derek still enjoys creating different recipes and gets a real kick whilst in a pub he overhears a drinker saying “Oh good, they have a Kelburn beer on tap”. In his leisure time Derek enjoys dining out with his partner, Margaret and looking after his granddaughters. Having reluctantly given up playing football a few years ago Derek know enjoys cycling as a means of keeping fit. Derek is a well travelled Scotland supporter and a regular follower of St. Mirren Football Club. Since his teenage years Derek has been an avid fan of The Who and has a complete collection of all their original recordings. Some years ago, whilst at the Celtic Connections, Derek became infatuated with the fiddle music of Alasdair Fraser and is extremely proud to be the recipient of a tune composed for him, by Alasdair. Aptly called “The Kelburn Brewer”, the track is available on the Abundance album. Ross started up the company alongside Derek. Before that he worked at Houston Brewery for over 3 years, the last year of that as the head brewer. 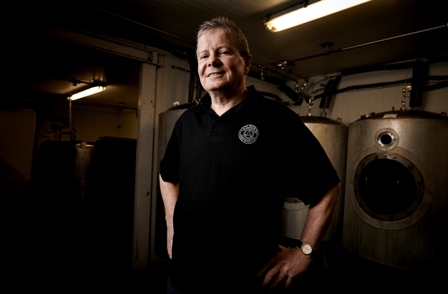 He left there in January 2002 and went on to help his father, Derek start up Kelburn Brewery. They were up and running in just a few months and were delighted when their first brew, Red Smiddy, won the Best Beer of the Paisley Beer Festival. 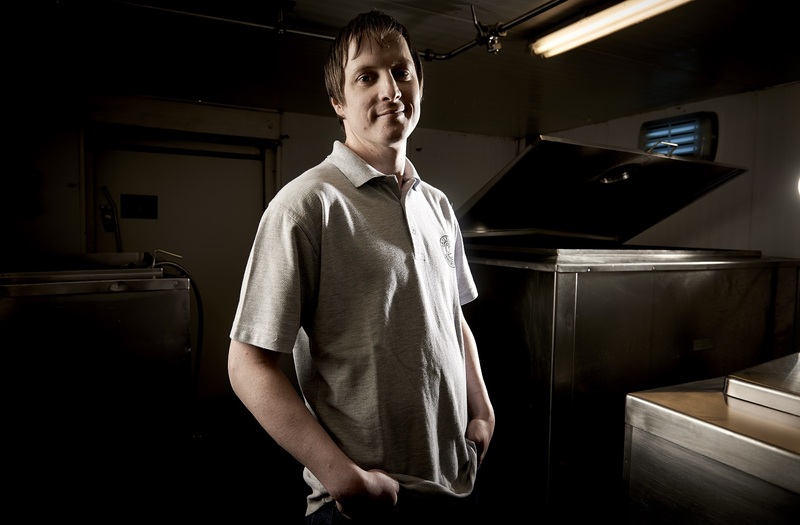 After doing the majority of the brewing for the first 8 years or so Ross is now in charge of the day to day running of the brewery which includes everything from overseeing the production, quality control testing, monitoring stock levels, creating the brewing schedule, ordering the ingredients, creating new recipe’s – and deciding when to introduce them. He mostly enjoys being part of producing quality ales and sampling the results! He is a huge football and cricket fan and also enjoys travelling, reading and watching movies. He really likes all of the Kelburn beers (naturally) but pushed for a favourite he’d go for Cart Noir. Karen is Derek’s daughter and has been part of the team (on and off) from the beginning. After university she took a year out to travel round the world before coming back to join the family business. Now part-time, as she is a mother of 2, she keeps busy in the office alongside Graeme. 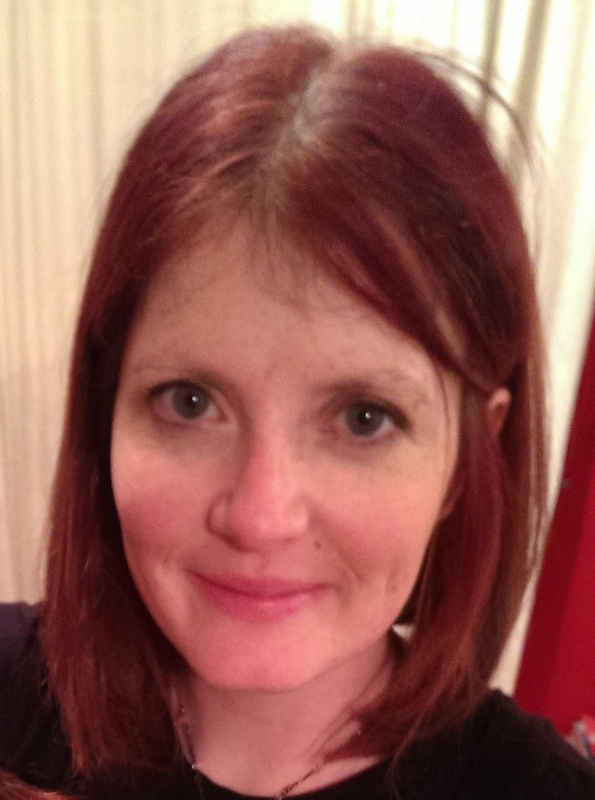 She is responsible for the general admin and liaising with customers, suppliers and the rest of the team. Karen has a real passion for beer – she’s been a CAMRA member since 1997 and helps out with the Paisley Beer Festival every year. She even met her partner there! She also enjoys travelling, cooking and spending time with her partner and daughters. Her favourite Kelburn beer is Dark Moor. Mark started with us in April 2012 after leaving a job in a hairdresser’s that wasn’t for him. He started off washing and filling casks but was keen to learn more about the brewing process and is now one of the brewing team. He really enjoys being part of making the beer and seeing it selling well in so many different pubs. His interests include playing football, fishing and video games and his favourite Kelburn beer is Cart Blanche.